With 160 registered and/or collected plant species from the period 1827-1875, the Beekbergerwoud is one of the most closely scrutinised 19th century Dutch nature conservation areas. 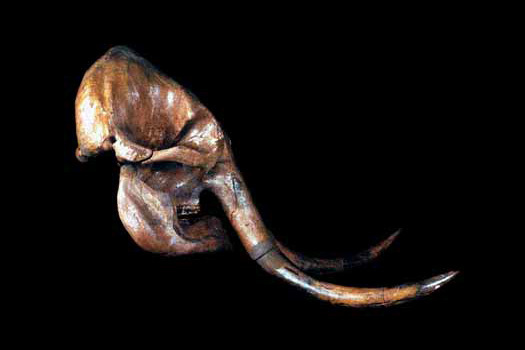 However, the zoological collections from the Beekbergerwoud assembled during the same period have not yet been fully inventorised. This is a clear lacuna, as the reintroduction of locally-extinct species is nog longer restricted to plant species alone for some time already. The Dubois collection consists of circa 40,000 objects, all collected between 1887 and 1900 in Indonesia by Eugène Dubois. It is a unique collection of fossils, providing an overview of the prehistoric fauna on Java and Sumatra, but as well of Dubois as a person and his dedication to palaeontological research. Besides fossils, the collections holds a vast archive and some of Dubois’ personal belongings, such as measuring instruments, his suitcase and some of his own teeth which he used to compare with fossil teeth of primates. En Tibi Perpetuis Ridentum Floribus Hortum… “Here for you a smiling garden with everlasting flowers", is the Latin inscription on this leather-bound herbarium from Italy. 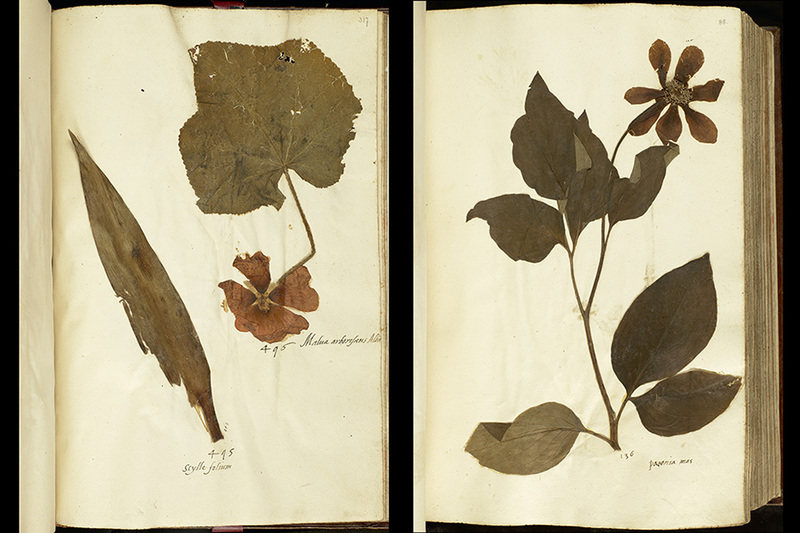 The ‘En Tibi herbarium’ contains 477 specimens, probably collected around Bologna. The watermark of the paper dates from 1550-1555 and the paper was made in Florence or Bologna. This makes this herbarium one of the oldest collection of dried plants compiled from a scientific perspective. 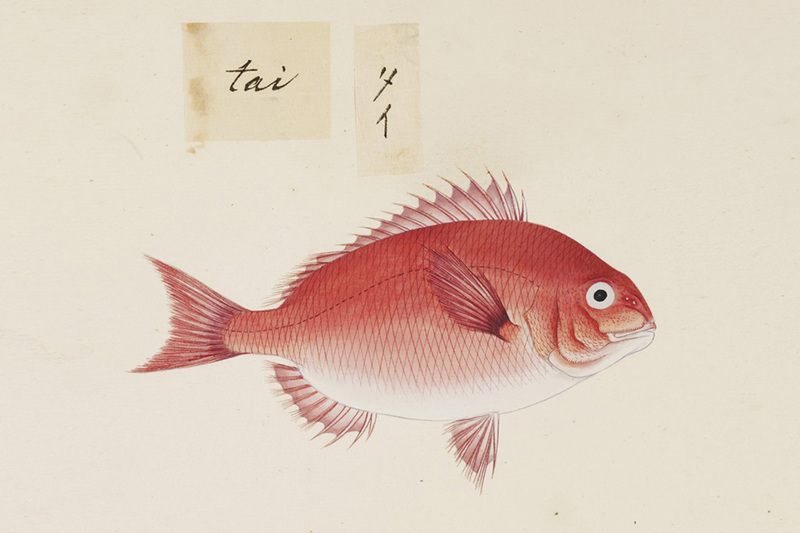 From splendid nineteenth-century Japanese drawings to photos of delighted expedition members on the Wilhelmina Summit in New Guinea: Naturalis manages about 5000 image objects like prints, drawings, paintings and photographic material. The images show flora and fauna as well as natural phenomena, but also collection sites and researchers at work. Therefore this collection is an indispensable part of our natural history knowledge, and the institutional memory of Naturalis.The images, archives, books and objects form a unity: they complement and enhance each other. The Jongmans collection is the largest Dutch collection of Carboniferous fossils from the province of Limburg. 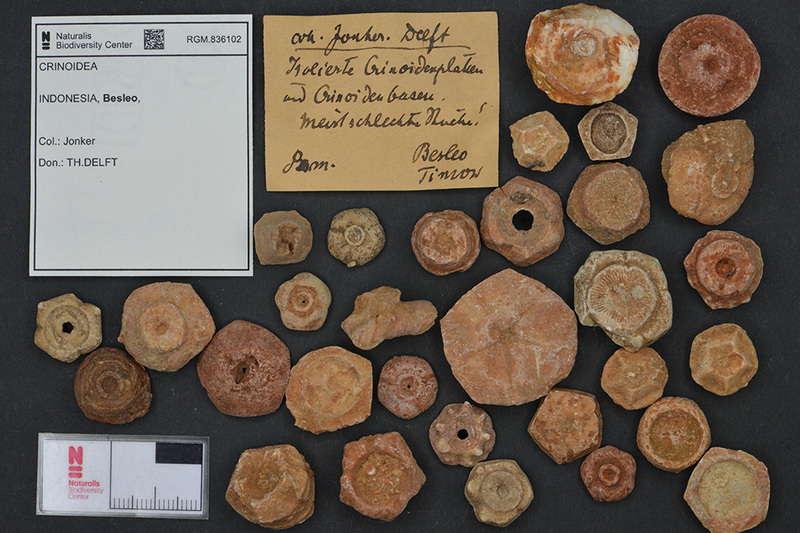 The major part of the collection consists of beautifully preserved plant fossils. 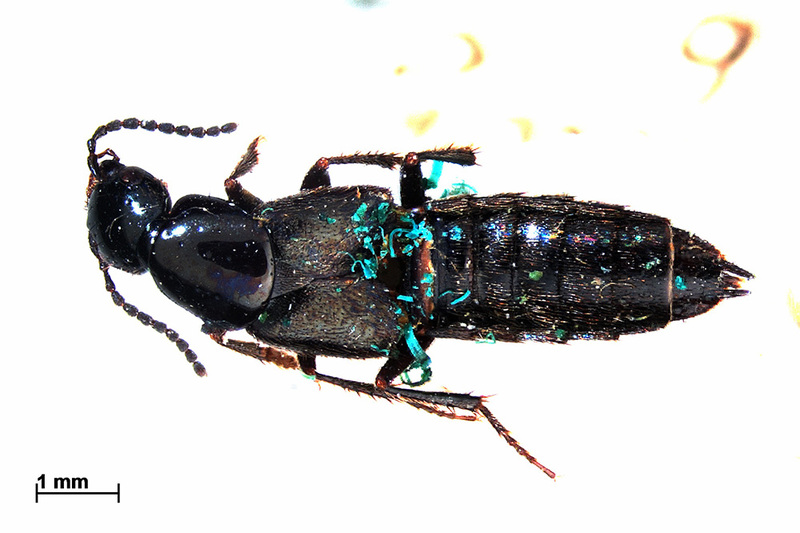 But faunal material is present as well. These mostly are aquatic animals, although some terrestrial animals - mainly insects - are also part of the collection. Naturalis houses the probably largest collection in the world of cainozoic molluscs from Indonesia. The most important part of it is the so-called Martin Collection of fossil shells from Java. The materials were collected between 1845 and 1910 by a.o. Franz Junghuhn, Pieter van Dijk, Rogier Verbeek, Karl Martin and his wife Hillegonda Martin-Icke. 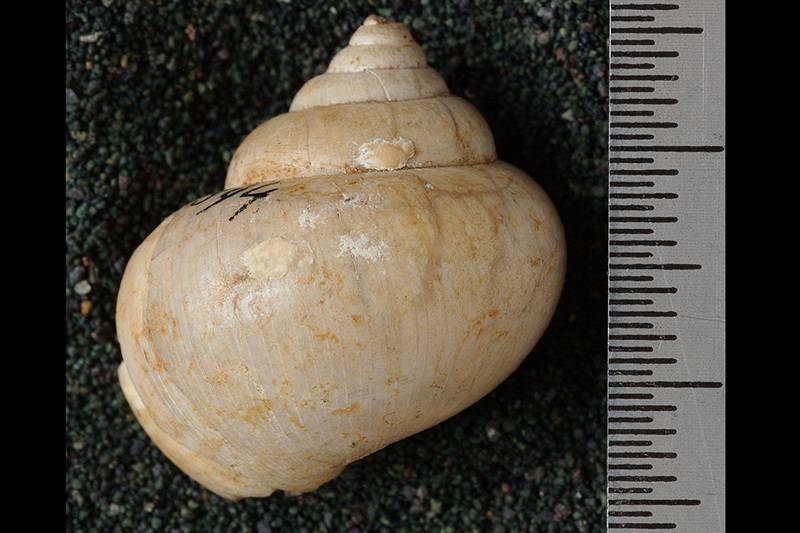 Thanks to the extensive taxonomical studies of Martin and his wife the Martin Collection has become a frequently consulted key collection for South-East Asian molluscs, fossil and recent. It contains nearly 2000 type lots of hundreds of species. At Naturalis we manage the largest meteorite collection in the Netherlands, including some unique specimens. This diverse collection includes meteorites gathered around the world. 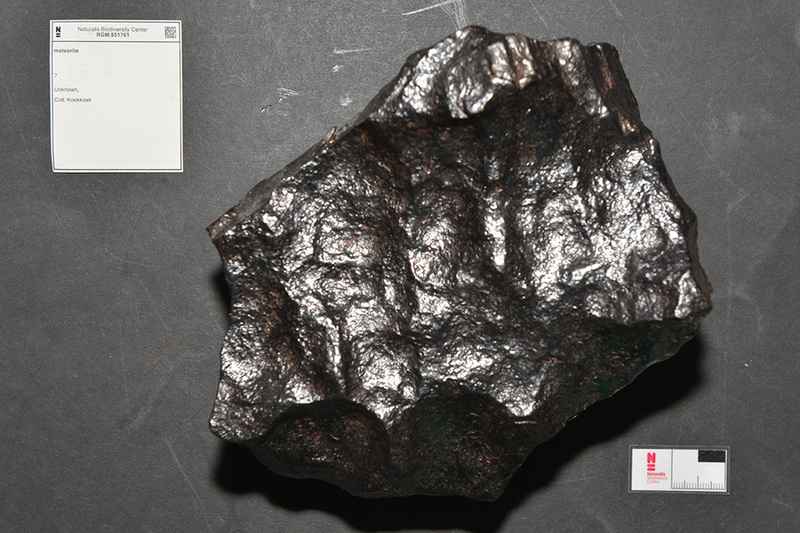 In the Netherlands 6 meteorites have been recovered after an impact. Our collection includes 3 of these meteorites, the Glanerbrug meteorite, the Diepenveen meteorite and the Broek in Waterland meteorite. Naturalis has been formally recognized by the Meteoritical Society as a meteorite institute and much research is being done on this collection. The Siebold Collection of natural history objects includes a total of 200 mammals, 900 birds, 750 fishes, 170 reptiles, over 5,000 invertebrates, 891 minerals and rocks, 6 fossils, 2,000 different species of plants and 12,000 herbarium specimens. 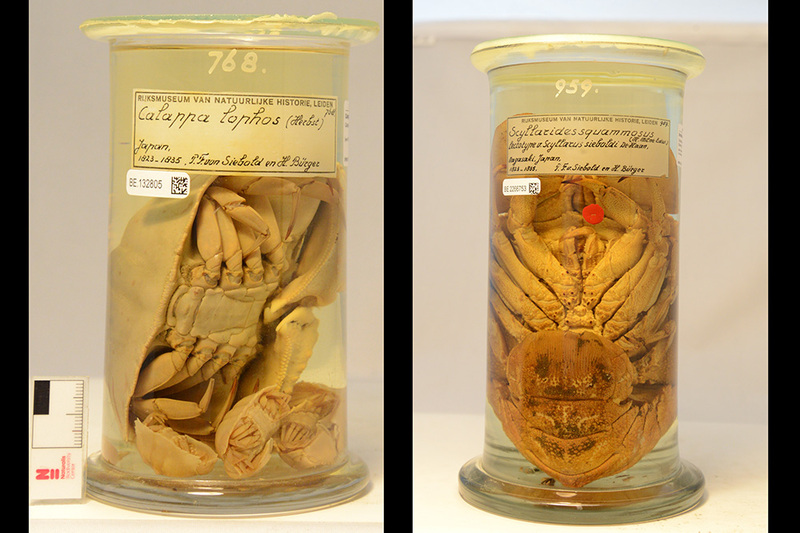 Many of these are stored in Naturalis' collection depots and available in the BioPortal. The material was collected by Von Siebold between 1823 and 1829 during his stay in Japan. During the Permian and Triassic the area which is now the Indonesian island of Timor was covered with a shallow sea containing a very species diverse reef. The fossils representing that reef are remarkably well preserved en form a unique source of information for the reconstruction of the Permian and Triassic marine world.